Facebook's announcement to introduce their Personal Digital Assistant “M” comes with powers within the Facebook Messenger. It is a similar virtual assistant like Google Now, Apple's Siri and Microsoft's smart digital assistant Cortana. It seems that all the intelligence that resides within the personal digital assistants already in the market are nothing in front of M's capabilities, according to the Facebook post by David Marcus, Vice President of Messaging Products at Facebook. Three days ago, Microsoft had boosted the powers of Android users by making Cortana accessible on Android devices. Now listening to Facebook's launch of 'M', rival companies would have definitely face-palmed! 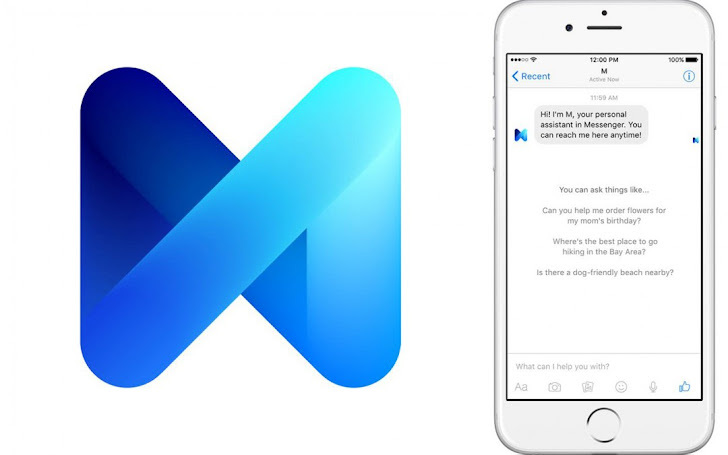 The virtual assistant software "M" is truly going to support you by doing the work on your behalf, the team at Facebook tested this service enabled inside the Facebook messenger. M behaves in a manner that beats the already existing virtual assistant software's artificial intelligence on to a next level altogether. Though the answers to your questions are given by the intelligent team of M at the other end, in M you have to type and enquire about things unlike rival services, where you can say and manage the activity of the assistant. "M is a hybrid backed by Facebook employees [team] with customer service backgrounds, called M trainers, who can also make travel arrangements [as well as] appointments," Marcus wrote. There are many services like Magic and Operator and TaskRabbit already existing to solve your requests by making humans employed, but they do not have a massive audience. Whereas M is power packed with the features of artificial intelligence as well as humans intelligence. M is currently in its Beta version and is accessible to a few hundred Bay Area Facebook users at this time. The feature already looks like an impressive service, to give it a thought what expansions it could take in its stable versions!